This view towards Shinjuku demonstrates how wide the road is and how little space is allocated to people and plants. What a lack of imagination. This sidewalk and street have nearly no visible plants. Yet anonymously gifted bus stop chairs are very Tokyo and very much in the spirit of Tokyo green space. Reacting to a lack of infrastructure– no shelter and no seating– neighbors simply recycle and re-use stuff from their homes and share it with neighbors in a public space. Few designers could have coordinated this unlikely mix of colors, fabrics, and shapes. Its aesthetic arises from its spontaneous appearances. Is this the most beautiful, practical, or ideal solution to the lack of infrastructure? Probably not, although it reflects generosity and concern for others in shared spaces. 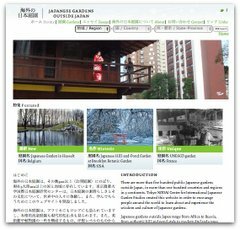 I have been writing about Tokyo green space for a while, ever since moving here three years ago. Tokyo is surprisingly green and livable despite the complete absence of planning for public open space, from its rise as Japan’s Edo capitol in the 1600s through the 20th century’s natural and man-made calamities that twice obliterated the city. Tokyo has such forward-looking urban features like walkable small streets dominated by pedestrians and bicyclists. But these vital paths exist not because of contemporary Tokyo’s good planning, but because the bureaucracy still in the thrall of automobile infrastructure and mega-developments hasn’t had the chance to alter them. Documenting Tokyo green space has been a way for me to understand the life of this city. The grass-roots reclaiming of public space certainly increases the city’s appeal. But, post 3.11, I also now wonder if the residents haven’t demanded enough of the city leaders. We now know more clearly the dangers of leaving vital decisions to reckless and outdated politicians and bureaucrats. As this difficult year ends, I wonder what all of us can do to create a more alive city. Few buildings in Tokyo are as iconic as Tokyo Tower. In a mega-city that sprawls as far as Japan’s second largest city, Yokohama, Tokyo lacks a single center, a recognizable river, or a conventional view of its skyscrapers, unlike NYC’s Hudson River or Central Park views. I like how the top photo’s framing of Tokyo Tower mixes auto traffic with mature trees and a shrine entrance gate in a nostalgic ode to the 1950s. The lower photo shows its reflection at night in an office mid-rise.